It’s that time of the year again.. We’re getting ready for 2 glorious months of rugby, where some of the best nations in the world will go head to head. England will be fighting to defend their title but we’re hoping Scotland will make history and win the competition. Ranked 5th in the world, we have high hopes! We’ll be showing all the action from Murrayfield, as well as the other games. We reckon Ireland V Wales will be a good one. 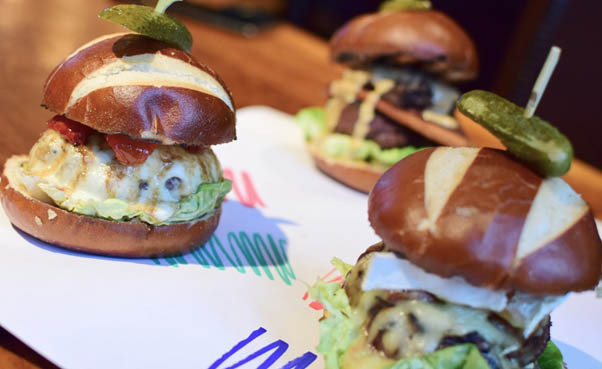 To get both us and our bellies in the mood, we’ll be serving up our international burger specials. Haggis (obviously) Brie, Guinness, Mustard will be some of the ingredients included. Our burger menu will be available on the day but have a peak at the picture below to get your mouth watering. We have limited space left for some of the games so make sure you book your table by calling 0131 221 5221.